Opening Reception for "Rusted Relics: Photographs by Lisa Berger and Tara Tomaselli"
Free, public opening reception on Saturday, April 6 from 2 pm - 4 pm for an exhibition of color photographs by Lisa Berger and Tara Tomaselli. Free, public opening reception for an exhibition of WWI Liberty Loan posters. Art, conversation, light refreshments. Snow date February 9. Opening Reception for Nancy Lasar, "Flux and Flow: Unique Techniques and Collaborations"
Join us for The State of Connecticut's Open House Day on Saturday, June 9 from 2 pm - 4 pm for the opening reception of Nancy Lasar's one-person exhibition "Flux and Flow: Unique Techniques and Collaborations." Art, conversation, light refreshments. Visit the state's Open House Day website to see other venues in our area. Opening reception for "FINAL DAYS: Photographs by Hasna Muhammad"
Free, public opening reception for FINAL DAYS, an exhibit of photographs by Hasna Muhammad, a photographer, filmmaker, writer, and educator who lives in Putnam County, New York. 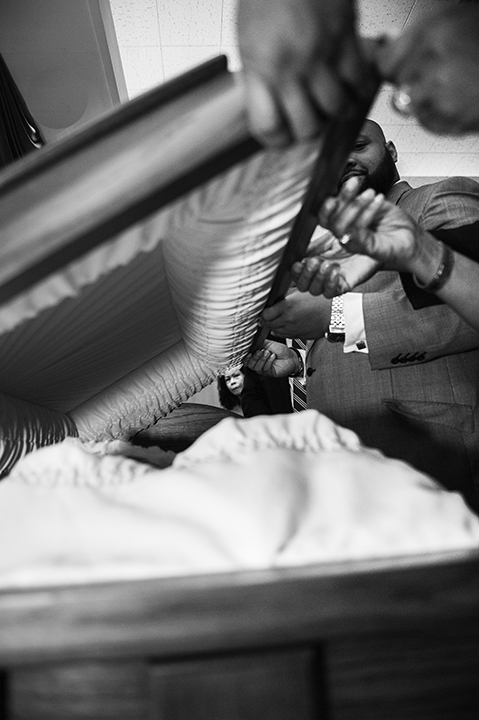 It is both a personal and public body of documentary photography, capturing the final celebrations of the lives of her parents, Ossie Davis and Ruby Dee, who were both actors and activists, as well as the final days of her cousins, Donald L. Miller and Karen Fletcher, her father-friend Dr. Beny Primm, and her friend Sara Myers. Exhibition opening for "Miles and Miles: Prints by Jeff Mueller and Kerri Sancomb"
Free public opening reception for "Miles and Miles," an exhibit of prints by Jeff Mueller and Kerri Sancomb of Dexterity Press in New Haven, Connecticut. Mueller says of the exhibit, "We picked pieces that would tell a visual narrative of where we’ve been aesthetically and conceptually throughout the past 20 years." Mueller's prints are letterpress-based, while Sancomb's are photographic, utilizing photomechanical print processes like gum bichromate and Van Dyke brown. Free, public reception for "LOUD," a group exhibition of music photography by sixteen artists from Connecticut, one from New York, and one from Florida/New York. Music by The Sawtelles. Photographs by Kaitlin Anne (Just Vibe Photo), Todd Atkinson, Pete Brunelli, Kathleen Cei, Michael Friedman, Katrina Goldburn, Lisa Sanchez Gonzalez, Bobby Grossman, Lys Guillorn, Tom Hearn, Hank Hoffman, Alisha Martindale, John C. Miller, Hasna Muhammad, Audra Napolitano, Karen Ponzio, Jennifer Stephens, and Catherine Vanaria. Music photographers spend concerts poised behind their lenses, waiting to pounce on singular moments that will never be repeated. They capture the essence of what it feels like to be at a show. They convey the concert going experience, and it is the viewer's mind that supplies the music. The exhibition was curated by Lys Guillorn, who is Gallery Director of the Gallery at Still River Editions, and is also a musician.